A native from Staten Island, NY, Dr. Romano received her Bachelor’s of Science degree from Wagner College on Staten Island, New York. She received her D.M.D from the University of Pennsylvania. Dr. Romano completed a general practice residency program with Abington Memorial Hospital in Abington, PA. She then pursued her pediatric dental specialty training at Lutheran Medical Center. Dr. Romano is an active member of the American Academy of Pediatric Dentistry and the American Dental Association. She is currently aboard certified member of the American Board of Pediatric Dentistry. 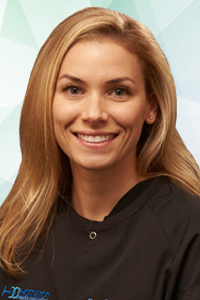 In her spare time, Dr. Romano enjoys spending time with her friends and family. She loves traveling, wine/craft beer tasting, watching football (especially the New York Giants), flywheel spin class and takes hip hop/jazz fusion dance classes.